Two-year colleges, often called community colleges, are a great option for internationals students to study in the USA. 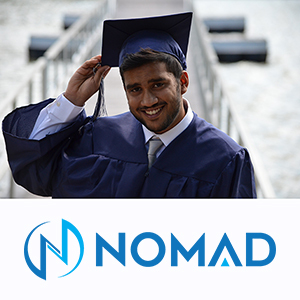 Not only can international students save a lot of money by attending a two-year college and then transferring to a four-year university, but many two-year colleges offer exceptional English language programs to help students prepare for four-year universities and improve their English language skills. 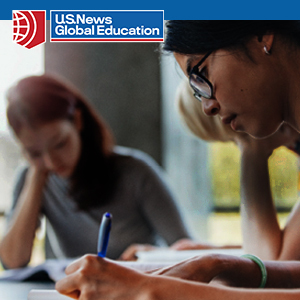 We’ve highlighted five two-year colleges international students should consider when deciding to study in the USA. For international students interested in fashion, the Fashion Institute of Technology (FIT) is a great place to study and learn English. Located in the heart of New York City, students are at the center of the fashion industry. Based on WalletHub’s ratings, FIT is an affordable option and has high career outcomes for graduates. In addition, for students wanting to learn English, they offer an Intensive English Language Program where students spend the morning learning English and the afternoon taking various fashion elective courses. Located in Orange County, California, just 35 miles south of Los Angeles, Coastline Community College offers affordable education for a variety of topics. Coastline has over 21 academic departments, providing students with many options to explore different degrees. In addition, Coastline offers very affordable tuition for international students, charging only $271 per unit. Their English Language Program is very popular with international students. Valencia College is located in Orlando, Florida. It is an award-winning two-year college. According to WalletHub’s ratings, it ranks 23 out of nearly 800 community colleges across the USA. Not only is the college ranked very highly and has one of the highest graduation rates in the county but it offers guaranteed admissions to one of the 12 four-year Florida state universities. In addition, their Intensive English Program is excellent for international students to improve their English skills. Moorpark College is located in Moorpark, California, which is a short drive from Los Angeles. Moorpark College ranks very highly as one of the best two-colleges in the USA. WalletHub and Huffington Post both rank Moorpark College in the top 15 two-year colleges in the USA. Not only is Moorpark highly regarded, many international students transfer to some of the best universities in the country such as UCLA, Harvard, MIT, and UC Berkeley. Whatcom Community College is located in Bellingham, Washington which is 90 miles north of Seattle and only 60 miles from Vancouver, Canada. WalletHub ranks Whatcom Community College at number 17 as one of the best two-year colleges in the USA. Whatcom offers support to international students so they can transfer to a four-year university such as Western Washington University, University of Washington, or any university of their choice. In addition they offer Intensive English course and short-term English and culture courses year round.